Zombies Calling by Faith Erin Hicks. "Armed only with a spork, Joss must defend her friends from the forces of the undead!" Kiki Strike by Kirsten Miller. "Five delinquent girl scouts (we won't ask why they got kicked out). Secret tunnels under New York City. Rats. Giant Rats. Hordes of giant rats. The missing heir to a kingdom. Has anyone ever come to your classroom and asked what you want to be when you grow up? Well, one day someone asks Ananka Fishbein's classroom....one girl wants to be a biologist. One girl wants to be a bear-trainer (she's a little weird). Kiki Strike? She wants to be...dangerous." Boys are Dogs by Leslie Margolis. "Annabelle is moving to a new house, a new town, a new school, and her mom has a new boyfriend. He thinks giving her a puppy will make everything all right. Well, it certainly helps, but Annabelle has a big problem - her last school was all girls. This is the first time she's been in a school with boys and they are making her life MISERABLE. Until...she figures out that her puppy training book? It works on boys. So girls, you will want to read this to get some tips and tricks. And boys? I know it's got a pink cover...but if you don't read this you may find yourself being puppy-trained without knowing it!" Anyhow, these were my best booktalks of the visits, I think. Whew, summer school visits finally over! I went to the last public elementary school Wednesday morning. Gah, what a trip. First, I had to dash out of a staff meeting at the library. Then, I got lost trying to find the school and barely made it in time....and then discovered what I'd forgotten from last year, this is the one school that doesn't have enough space for us to meet in the library. So, I saw all the kids in the "large meeting room" a windowless, airless box, with the kids squirming on a hard tile floor. Squirming? Why yes, did I mention this is the one school visit I made in the afternoon? From 1 to 3. The kids were antsy and definitely wanted to go home - plus, there was a huge number of substitutes, including almost all the 5th grade teachers. The school librarian, of course, had to stay in her library so I didn't have any additional backup. I took pretty much the same line-up of books as on my other visits, and except for the extremely wiggly kids, running out of bookmarks for the 5th graders, and said 5th graders leaving one by one to be picked up or something, it was ok. But I'm very glad I only have one visit left....even if it is at 7:30am tomorrow! At 7:30am on Thursday, I made my last school visit to our local Catholic school. I only took my non-fiction/craft books with me, as I'd be moving from class to class. I visited kindergarten through fourth grade, then discovered the 5th through 8th graders hadn't been expecting me so I just left some bookmarks for them. A lot of kids are from other towns, so I talked a little about going to their local libraries for summer reading and several of the classes were more interested in asking questions and chatting than looking at the books. Anyways, I admit I was so tired that I probably could have done a better job but the kids were very nice about it! Now I just have two more storytimes and a family fun night at Parks and Rec and the week - and spring programs - will be over! World of Quest 1 and 2 by Jason Kruse. 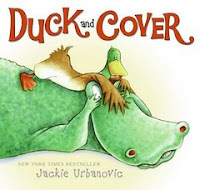 It was casually mentioned, on a school librarian's blog I think, as popular so I got them for us....Pros: Lots of bright, sharp color, wacky humor, two protagonists that are, as the jacket flap proclaims "Conan the Barbarian and Calvin from Calvin and Hobbes" and lots of mucus. Cons: the story seems to start in the middle of nowhere and it's not until you read the list of characters at the back that you know what some of it's about. However, that can be solved by lots and lots of future issues! I've only had these for a few weeks and they've gone out a couple times already, so it looks like they'll be winners! Verdict: This is an updated verdict...These have been HUGELY popular. I've never had a kid ask about the animated movies, but they read these to pieces - literally. Sadly, there are no hardback or library bound editions available (and volume 2 is out of print completely) so I have had to reluctantly let these go as the cost of replacing them every few months is too much. ISBN: 978-0759524026; Published November 2007 by Yen Press; Borrowed from the library; Purchased for the library; Weeded due to condition, would purchase instantly if offered in hardback! I was so excited when the newest installment in Gerald Morris' beginning chapter book series, The Knights' Tales, arrived! 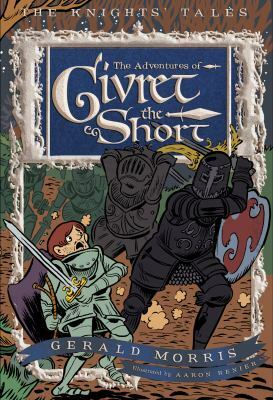 I took Sir Givret the Short home with me - and commenced reading. Remember how much I loooved the Adventures of Sir Lancelot the Great? Well, Sir Givret the Short is even better! Excellent humor (including digs at all that weird language. heh heh.) 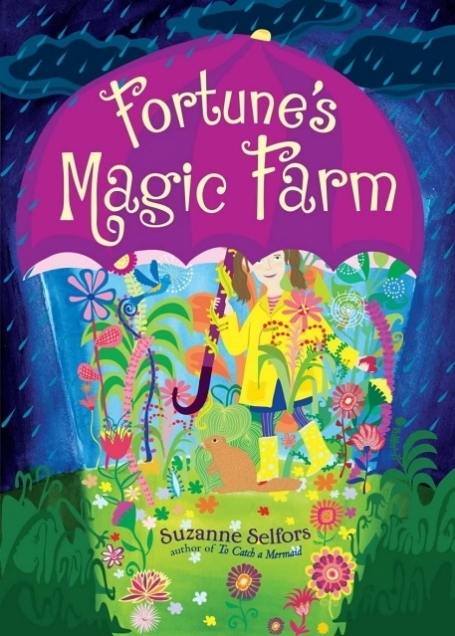 an unlikely hero, and Morris manages to make marriage problems hilarious and accessible to young readers. Verdict: I command all thou lovers of humor and writing that doth excel to go forth and peruse this volume! Dessert is a girl with flair - and a love of dessert, as her name shows! With the encouragement of her teacher, Mrs. Howdy-Doody, she marches to her own drummer - but when she makes some bad decisions, can she fix things in her own way? Dessert's family isn't completely crazy, but they do have their little quirks, as do Dessert's classmates and especially her off-the-wall teacher! Without being didactic, this is a fun and engaging story about willpower and fixing your mistakes. Readers will sympathize with Dessert's trials and tribulations - even when they are her own fault - and wait breathlessly to see if she makes it through her challenge! I'd like to see more of this character - and find out more about her nemesis, Amy D. (why doesn't she like Dessert?) her younger siblings, who seem to have the seeds of some fun stories ahead, and her classmates. I especially appreciated the ingenious idea for school fund-raising - teachers take note! no more bored kids pressuring relatives into buying magazine subscriptions! Verdict: Recommended for: Fancy Nancy fans (these little girls are growing up and will be looking for strong characters with flair!) and fans of solid favorites such as Clementine and Ramona. I can only re-read Emma Lathen and Dell Shannon (yes, and her many pseudonyms) so many times. I decided I wasn't going to read my Judge Dee books again and passed them on to Bookmooch. I can practically recite my Kerry Greenwood. My library system is never going to buy the Graham Ison books I haven't read and I've re-read all my Elizabeth Lemarchand and Catherine Aird. Time for some serious browsing work on stopyourekillingme. Things I am avoiding - any mysteries involving crafts, the South, or "quirky" characters. I also don't like mysteries where the hero or heroine (or their best friend, spouse, etc.) is a major suspect. Or characters with deep, angsty lives and personal issues. Or historical characters as detectives. In general, I mean, there are exceptions to everything. Picky? Of course I'm not picky. I'm selective. Our library's summer reading theme is "be creative" so my nonfiction posts for the next few weeks are going to feature some of the new nonfiction I purchased for the library - leaning heavily towards creativity, whether it be arts and crafts, music, exploring the outdoors, or other means of spending the summer doing anything but watching tv! Our library has Jessica Loy's newest book, When I Grow Up, about careers. It's quite popular and I was very pleased to find this older book about camping! Ms. Loy is a graphic designer as well as painter and author and her excellent sense of design is obvious in this guide to camping. The book contains all the important information - what to take, where to go, how to stay safe, and what to do - all organized efficiently and attractively in 48 pages. Fun illustrations accompany instructions that range from how to safely make a campfire to rainy day activities to do in your tent. Verdict: A perfect book for beginning campers or those who need a refresher on the basics or some new ideas! I love Max the duck. He's so enthusiastic, so eager for new experiences. Plus, he has that hilarious little tongue thing going on. Max's new adventure is just as hilarious as his last - a new animal has shown up asking Irene for shelter. Unfortunately, not all the animals want an alligator around! But Max remembers when he was scared and lost and they helped him...and he is determined to help this new friend! In the end, all turns out well and their new friend Harold has a happy ending. One of the funniest parts of the book is the cats' reactions to the alligator. They're definitely skeptical of his "friendliness" and it shows! Verdict: There are lots of great noises and expressions to make this a wild and wacky read-aloud. Yay for Max! My first summer reading visit! I intend to blog every wonderful moment of my summer reading program this year....we'll see how long that lasts! I made my first summer reading visits this morning to two sixth grade teams at the middle school down the street. Last year I only visited elementary schools, so this was new. I really like middleschoolers (when they're not driving everybody at the library nuts) especially twelve-year olds, so I was looking forward to this....but kinda worried because there would be soooo many! It was great! I set up a table with a whole bunch of (mostly new) books and a few audiobooks in the "pod" and 100 sixth graders poured out onto the floor. Their lovely middle school librarian introduced me and I began..."Our summer reading themes this year are Be Creative for the kids and Express Yourself for the teens. You're in the middle, so you get to express yourself by being creative!" (This got a big giggle). Then I had them tell me different ways to be creative and we segued into what creative programs we'll be doing this summer and the summer reading program. Then I told them they could point out books on the table and I'd booktalk them, i. e. "tell you about them". I had about 20 minutes with the first group and about 40 minutes with the second group (also 100 students) so for the second group we finished up with tons of questions. Was the library free, how could they get a card, did we have x, and so on. I think that was all. I wasn't able to talk them all to the first group, but we did get through them all with the second group! I forgot to talk up my messy craft programs, but hopefully they'll all show up and get a brochure and it won't matter. I left bookmarks and a poster with the school librarian and also dropped bookmarks and other promotional materials for a 7th grade teacher who has promised to promote to her students! I really liked this story, with its whiff of whimsical charm. The dank and dismal Runny Cove was Dahlesque in the extreme, the magic was wild and exuberant, the ending delightfully happy-ever-after. The problem is....I just can't think of any kids who I could recommend this to. Maybe Dahl fans, but the second half is a little too sweet for their taste. The closest thing I can compare it to is Eva Ibbotson and as far as I know, I don't have any readers of her at my library. But you never know...Anybody recommend this to anyone? I'm thinking of trying to booktalk it at my upcoming school visits, but I'm reluctant because it's owned by the system, not our specific library. Oh, and one caveat - SPOILER - I have to say that I really, really disliked the "testing" part. What gave them the right to make her so completely unwanted and miserable? Why should she trust them after that? Doesn't she get to test them? I hated the whole deception thing. Just a personal quibble. Update: I went ahead and booktalked this and it was a hit! Looks like the Dahl fans will snap it up after all. I purchased a copy for the library and it circulates briskly. Verdict: Recommended! No caveats after all! All the cover pictures of this book have horrible resolution. I almost didn't purchase it for the library because it looked so fuzzy and blah. Fortunately, I decided to get it for the library anyways, since Nic Bishop's other books were so gorgeous. I was happily surprised when it arrived - this one is gorgeous too! It's an oversized book and consists of seven full-page spreads of a different area or season of the forest and a following spread detailing all the creatures to be found there and giving snippets of information about their characteristics and habits. 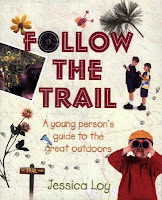 The book also includes an explanation of how the book works, how to be a forest explorer yourself, and an excellent picture-index of all the creatures in the book. Verdict: This is an amazing resource for a wide variety of ages. It's a great seek-and-find book, resource for animal lovers, browsing book for photography fans, and all-around guide to exploring the forest! It almost derailed by school visits, since the kids didn't want to move on to the next book. Last year, and in previous years, kids age 2 through high school got gradually escalating prizes every two hours they read, as well as putting their name in for a prize drawing, up to 10 hours. Specifically, last year we had a kids program, age 2-12, and a teen program, 13 and up. They got a prize and a drawing slip every two hours, then after 10 hours they got a small prize and a drawing slip every two hours. Then we had a grand drawing. Our prizes included misc. small things, misc. larger things, a book, state park passes supplied by the library system, etc. It was a HUGE mess. Circ staff were exhausted handing out prizes, it was confusing, it was insane. Next year, I thought, we'll do this differently. No separate teen and kid prizes. It got wildly confusing and I don't have that many teens anyways. I just mixed a wider variety of prizes together. I made my own reading logs. Last year, the reading logs we purchased were 7 squares over and 9 down. The teen logs had thirty little shapes on them. Okay, mathematical geniuses, think about it. We do summer reading in two hour increments. It drove us all nuts! My reading logs are simple - 8 squares over, 5 squares down. You fill in a square for every 15 minutes you read and get a prize every row! 1. Encourage all children, especially reluctant readers, to read, including family and independent readers. Therefore, we need attainable goals and incentives. 2. The prizes shouldn't outweigh the reading. 3. Every child gets their own book. So to incorporate these, we have the new and improved summer reading program, debuting June 13th! Children and teens (age 2 through high school) get to choose a free (new!) book when they register for summer reading. Participants get a small prize and a drawing slip every two hours they read. Our library system provides various passes and they can choose one of these when they've read 10 hours. They can continue reading and earning a small prize and drawing slip every two hours. Small prizes include stickers, pencils, hacky sack balls, kazoos, silly putty, harmonicas, finger puppets, beads, etc. Our drawing prizes will be smaller things (in previous years they've had bicycles and dvd players! Insane!) such as a grab bag with marbles, clay, etc. Some sports stuff, soccer balls etc. Craft kits and so on. Melonhead is hilarious. Laugh-out-loud funny. Snort milk out your nose outrageous. I know my kids are going to love it! 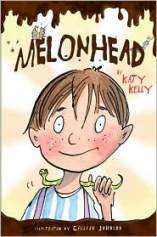 Melonhead's rather frazzled parents deal with him firmly and kindly and he has a supportive and realistic group of friends, strong characters on their own. Melonhead can be heedless and jump into things without thinking, but he always does his best to make things right! Verdict: There's not so much gross humor that this will not appeal to parents or tidier siblings, and I think it will be a big hit with ten-year-old boys! It would also make a great read-aloud. Strongly recommended. I'm always looking for good machine books for my voracious truck fans. I checked out Andrea Zimmerman and David Clemesha's Dig!, illustrated by Marc Rosenthal, to see how it measured up. The text is excellent, with a strong rhythm children will enjoy participating in, and plenty of repetition. 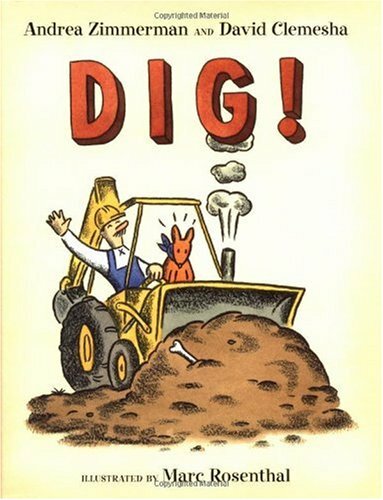 The illustrations of Mr. Rally, his dog Lightning, and his "big yellow backhoe" are brisk and cheerful. Unfortunately, they're also very confusing. Mr. Rally's first job, "a bridge on the ridge" makes no sense - I've stared at the illustration for quite a while and still can't figure out what he's doing. In his second job, "a drain for the rain", he appears to have moved an entire house?? The third and fourth jobs are much simpler, although one can't help but notice that Rosenthal opts out of the whole "how did Mike Mulligan get out of the hole" dilemma by only showing half the swimming pool. Finally, the fifth job, leveling ground for a zoo, leaves the ground apparently as lumpy as before. Verdict: This was a good concept and well-designed, but the illustrations falls short. I've been working my way through Brian Wildsmith's gorgeously illustrated picture books recently. Unfortunately, many of them are out of print, but quite a few libraries still have them hidden away on their shelves. The Lazy Bear is one of my newest favorites. The lazy bear has an endearingly suprised-looking face, and the most ruffly, tuffly fur I've ever seen. The characters involved in action are splayed around exuberant splashes of flowery colour, representing the hill, which is central to the plot. The spreads are also full of Wildsmith's magical birds, each one differently marked, fluttering in feathery clouds around the bear and his friends. The bear's friends include a deliciously stripy raccooon, fuzzy deer, and tousled goat. Unfortunately, like most of Wildsmith's stories, the plot, dialogue, and the whole text in general are just blah. The bear finds a wagon, discovers how fun it is to ride down the hill, gets tired of pushing the wagon up the hill, and cons his friends into doing all the work. When they revolt and punish the lazy bear, he realizes how mean he was and makes amends. The text is pedestrian and didactic - as always, one wishes Wildsmith had gotten someone to write better stories for his beautiful art. Verdict: Some of Wildsmith's books have been reprinted, but not this one. Worth getting if you're a collector, but the blah stories make this a poor choice for storytime.